Experienced mystery writers describe the art and craft that goes into developing a tale both chilling and convincing. and The Seduction of Water. Leanna Renee Hieber, actress, playwright and award-winning author of over ten Gaslamp Fantasy novels. Thomas Pluck, the Anthony-nominated author of Bad Boy Boogie, and editor of the Protectors anthologies. 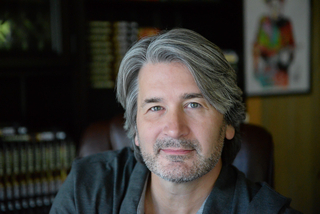 Michael Ransom, author of the award-winning debut novel entitled The Ripper Gene . A panel of pros reveal (some) of the secrets that make a scary story spook readers through the elements of character, plot, and storytelling that animate all great fiction. In partnership with Mystery Writers of America, New York Chapter. 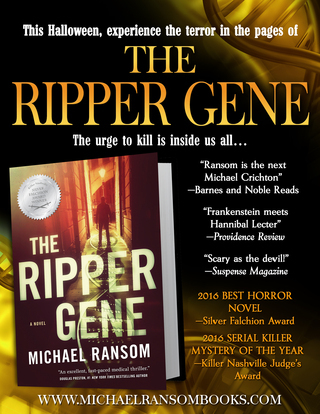 THE RIPPER GENE (Tor-Forge Books) has been selected as the Best Horror Novel and the Best Serial Killer Mystery of 2016, as announced by Killer Nashville this month. The Silver Falchion Literary Awards typically recognize new authors early in the careers; previous Silver Falchion award winners have included John Sandford, Hank Phillipi Ryan, Anne Perry, Jeffrey Deaver, Dean Koontz and others. 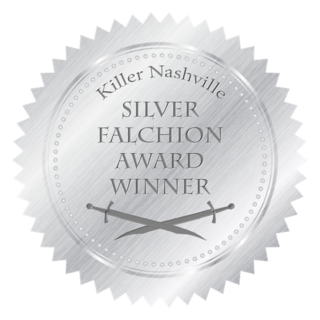 Congratulations to all the winners of the 2016 Silver Falchion Awards this year! CLICK HERE to purchase THE RIPPER GENE (4.9 out of 5 stars) on AMAZON today! ORDER THE RIPPER GENE TODAY! FBI Agent Lucas Madden knows this better than anyone in the world. As a neuroscientist he discovered patterns in the DNA of the most notorious serial killers in history- Bundy, Gacy, Dahmer and many others. He ultimately joined the FBI's Behavioral Analysis Unit, and is currently stationed in the New Orleans field office, close to his childhood home, where he hopes to heal broken family ties.